More than 68,000 pounds of Perdue Foods ready-to-eat chicken nugget products are being recalled because they may be contaminated with wood, the U.S. Department of Agriculture’s Food Safety and Inspection Service announced Thursday. The recalled products are 22-oz. 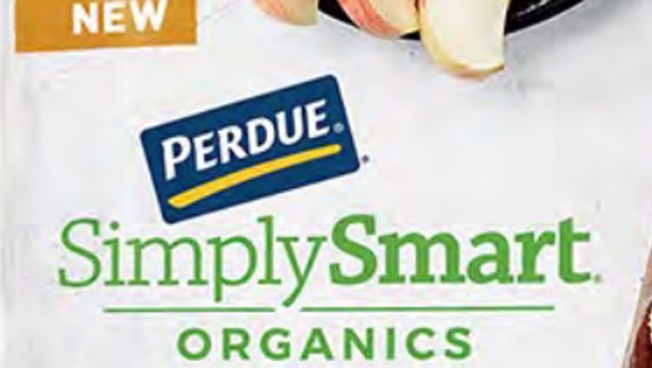 packages of gluten-free chicken breast nuggets with the brand name “Perdue SimplySmart Organics.” They were shipped to stores nationwide. The packages are labeled with the code “P-33944” on a small circle on the lower right corner and are marked with a "best by" date of Oct. 25, 2019. See the label here. The USDA was notified of the problem by Perdue on Jan. 17 after the company received three customer complaints that the products contained wood. A fourth complaint was reported to the USDA through its own complaint system. “These products should be thrown away or returned to the place of purchase,” the USDA said in a statement. Anyone with questions about the recall can call Perdue at 1-877-727-3447.